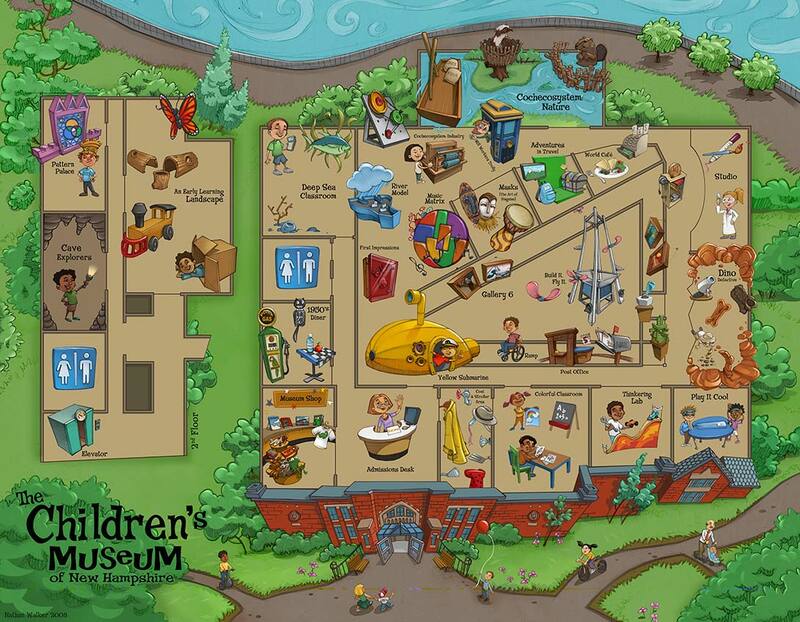 Welcome to www.childrens-museum.org (hereafter referred to as "the Site"). Our services are provided to you subject to the following notices, terms, and conditions ("Terms"). By using the Site, you agree to follow and be bound by these Terms and all laws and regulations governing the Site. The Children's Museum of New Hampshire ("CMNH") reserves the right to change these Terms at any time. All changes shall apply to transactions made following posted notice on the Site. You may visit, view, and retain copies of the Site for your own personal use but may not duplicate, download, publish, modify, or otherwise distribute information from the Site for any purpose other than to review event information and to purchase tickets for personal use, unless otherwise specifically authorized by CMNH. CMNH reserves the right to refuse service, terminate accounts, and/or cancel orders at their discretion, including, without limitation, if CMNH believes the customer's conduct violates applicable law(s) or is harmful to the interests of CMNH and the Site. All content included on the Site (text, graphics, logos, button icons, images, software, etc.) is the property of CMNH or its content suppliers and is protected by U.S. and international copyright laws. Compilation of all content on the Site is the exclusive property of CMNH and is protected by U.S. and international copyright laws. The Site's content and software may be used as a shopping resource. Any other use, including reproduction, modification, distribution, transmission, republication, display, or public performance, is strictly prohibited. All rights reserved. You expressly agree that use of the Site is at your own risk. CMNH does not promise the Site will be error free or uninterrupted, or that it will provide specific results from use of the Site content. The Site and its content are delivered on an "as available" basis without warranties of any kind, either express or implied, including, but not limited to, warranties of merchantability or fitness for a particular purpose. Except in jurisdictions where such provisions are restricted, in no event will CMNH be liable for any indirect, consequential, exemplary, incidental, special, or punitive damages, including lost profits, even if CMNH has been advised of the possibility of damages. This disclaimer of liability applies to any and all damages or injury from any cause. These include, without limitation, damages or injury caused by failure of performance, error, omission, interruption, deletion, defect, delay in operation or transmission, computer virus, communication line failure, theft or destruction, or unauthorized access to, alteration of, or use of record, whether for breach of contract, tortuous behavior, negligence, or under any other cause of action.